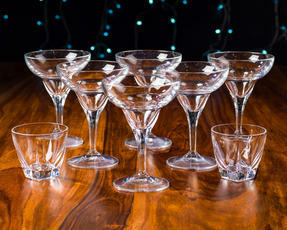 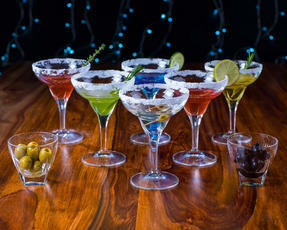 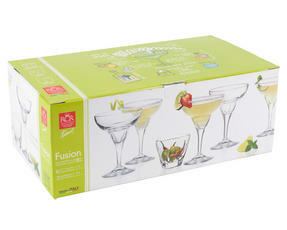 Add a touch of sparkle to your home with this fabulous RCR crystal cocktail set. 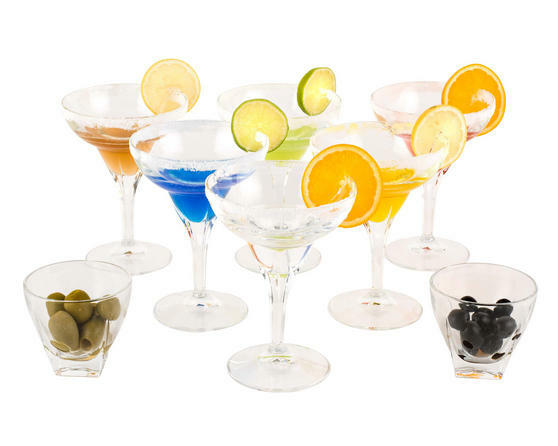 Made in Italy, the set includes six Margarita glasses and two party bowls, perfect if you are inviting friends over and guaranteed to impress guests. 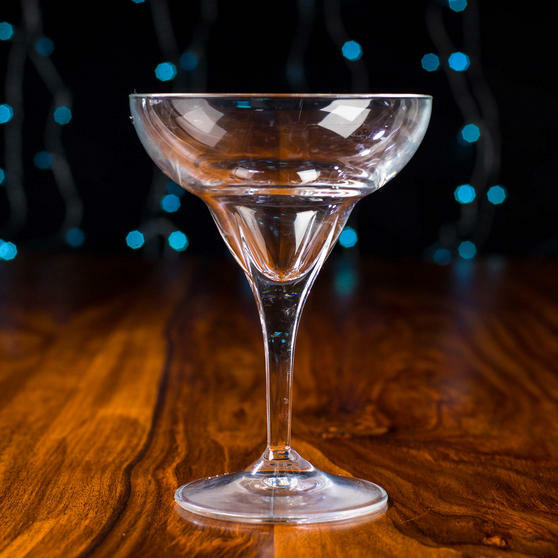 Handcrafted from high quality Luxion crystal for a timeless look of elegance, to create a contemporary twist on classic glassware. Try your hand at mixology with your favourite spirits and mixers, serve fresh olives in the bowls and kick off your party in style. A set of six, these RCR glasses are perfect for serving classic cocktails to your friends or experimenting with different mixers. The set also includes two small party bowls so you can serve olives and nuts, ideal for parties or a luxurious appetiser before dinner. To make a Margarita mix 35 ml Tequila, 20 ml Cointreau and 35 ml fresh lime juice with ice, strain and garnish with a slice of lime.